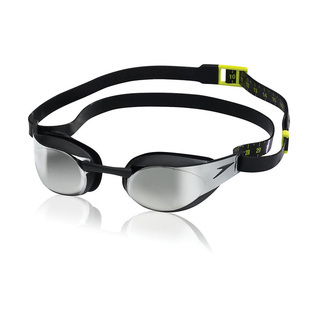 The Speedo FastSkin Elire Mirrored Goggles has maximum comfort, a hydrodynamic profile and wide peripheral vision with lens head movement make the Elite Goggle a key weapon in the armory of the serious swimmer. 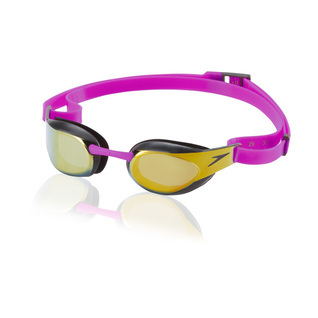 This swim goggles was developed as part of the world's first Racing System, engineering cap, goggles and suit to work in harmony. It features Hydroscopic Lens: a unique lens shape offering an increased field of vision. 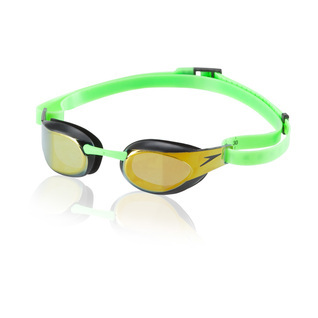 IMPORTANT NOTE: The Speedo FastSkin3 Goggles have been fully approved by FINA. These are by far the best goggles I've ever had. However they are quite expensive and must be handled with care ! People need to read the instructions and it clearly says ... do NOT touch the inside of the goggles. 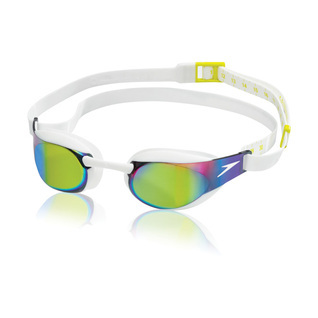 It has a very delicate protective skin that keeps the vision awesome if you keep it clear. Make sure you wash them after every swim. You'll love them. Excellent comfort and kept all water out. Visibility was excellent. Goggles are great. Little darker than he is use to but, he loves them. Damaged after only one use. I got one for a swimming meet, fit perfect but when I atemped to use for a second meet they were scratched and blurry. I believed that maybe I damaged them, and got another one, same thing happened. The inside anti-fog coating does not hold and once cratched/blurry they are useless (can't see anything). Unless you are rich, too expensive for a disposible goggle. The lenses become blured in a very, very short time (a matter of a few weeks) without any special reason, even if you don't expose the goggles to the swiming pool every day and take the proper care, and the more you try to fix, the worse it gets. Too expensive for a product that will last less than a month.